Rebecca Brewster Stevenson is a native of Pittsburgh, Pennsylvania. She has a master's degree from Duke University and has lived in Durham, North Carolina for over 20 years with her husband and three children. 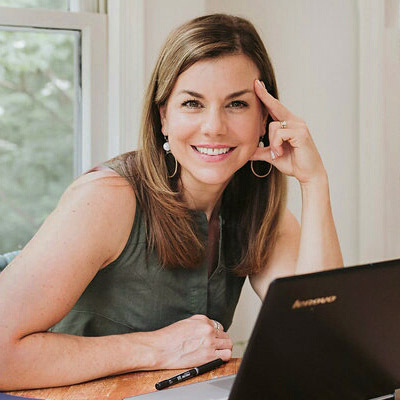 Before dedicating herself to writing full time, Rebecca worked with Trinity School of Durham and Chapel Hill to develop the curriculum for their humanities department; she also worked as an English teacher at public and private middle and high schools in Durham and Pittsburgh. Rebecca's debut novel Healing Maddie Brees was published in 2016 to literary acclaim. Wait: Thoughts and Practice in Waiting on God is her nonfiction debut and will be released June 2019. Her beautifully crafted personal essays on her blog "Small Hours" have earned her a strong audience of readers who enjoy her explorations of themes relating to family, marriage, faith, writing, language, literature, and film. "Rebecca Brewster Stevenson's writing is consistently powerful, complex, honest, and hopeful" (Andy Crouch, author, Culture Making and The Tech-Wise Family). Rebecca's writing has also been called "exquisite" (Stephen Chbosky), "thought-provoking" (Barbara Claypole White), and "gorgeous" (Kirkus Reviews). Readers who enjoy literary fiction from authors such as Marilynne Robinson, Julie Cantrell, Niall Williams, Celeste Ng, Jan Ellison, William Kent Krueger, Susan Meissner, and Karen Jay Fowler will appreciate Rebecca’s rich prose and brave questions. Rebecca is currently working on her second novel Church and Main. To connect with Rebecca, visit her at rebeccabrewsterstevenson.com or follow her on Instagram @rebeccabrewsterstevenson. Everyone has endured the endless traffic light, the queue that goes nowhere, the elevator music piped through the phone line. But what of those periods in your life when everything seems on hold? When you can't do the next thing in your professional or personal life because you can't get to it? Waiting—be it for health, a life partner, a child, a job—can be an agony. The persistently unrealized goal feels like an endless road. And hope's constant deferment can be exhausting. A firm answer against the thing you're hoping for—"no"—might be easier than this constant lack of closure. It might be easier to give it up. But what if waiting means to be something else? Waiting doesn't have to mean idleness. Our prolonged state of need might teach us to look beyond the desired goal to something infinitely better. We find lessons on this throughout the Bible and, if we are paying attention, in our own lives. Rather than fostering frustration, periods of waiting might have great truths to tell us. It might show us that hope is worthwhile. Waiting might even be a gift in and of itself. "Rebecca Brewster Stevenson's writing is consistently powerful, complex, honest, and hopeful." 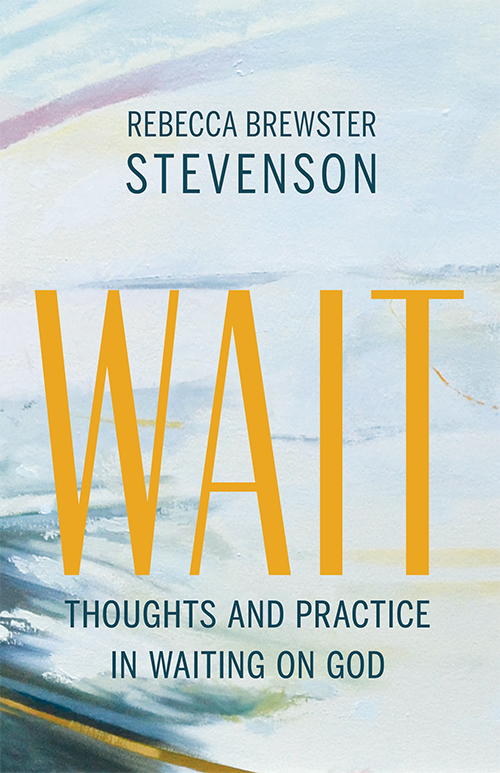 "Rebecca Brewster Stevenson’s book Wait offers a soulful mix of pastoral care and wise direction for all of us who are learning to wait on God through difficult circumstances. She weaves her own story with narratives from Scripture and testimonies of others in a way that validates our struggles, and also calls us to deeper trust in Jesus. Each chapter leads to increasingly mature reflection on persevering prayer. Read this book with a heart open to God, and you will find encouragement in your journey of growth through suffering." –Jason Jenson, Director of Spiritual Formation and Theology at Intervarsity. "Rebecca Brewster Stevenson’s writing is achingly beautiful... with its compelling vision and practical wisdom, this is a book in which substance meets—even surpasses—style." "Rebecca Stevenson makes peace with waiting and lyrically guides us through poignant Scriptural insights into the vocation of patiently waiting and trusting the God who works in such worthwhile ways in that space." 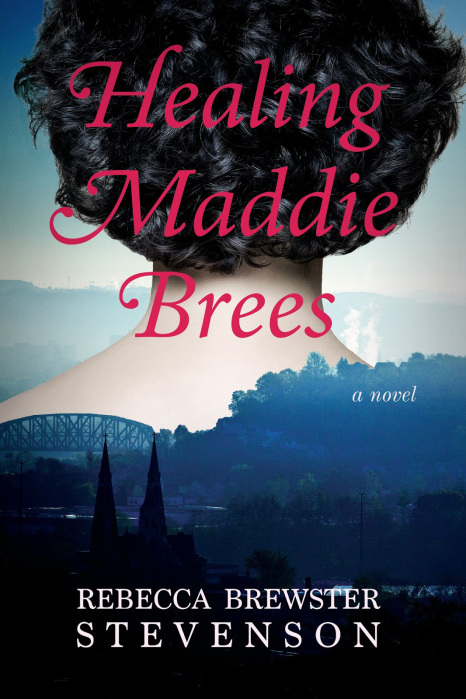 A debut novel from a promising new voice in fiction, Healing Maddie Brees is the story of a marriage and the memories that pit themselves against it, of the uncanny power of the body in both disease and desire, and of whether true healing ever really happens. Maddie Brees has been given bad news: She is seriously ill. But she also has an old friend, an ex-boyfriend who might be able to heal her. She was witness to Vincent Elander’s so-called miracles in the past. But that was a long time ago, a memory that she would rather stay buried. Now she is happily married to Frank and mother of their three young boys. The religion of her past is behind her, along with any confidence she once had in it. With the onset of her cancer, the memories of Vincent won’t leave Maddie alone, and before long they are affecting everything else: her marriage, her husband, the things they thought they agreed on, the beliefs they thought they shared. Soon Frank, who was to be Maddie’s rock throughout her treatment, is finding fault-lines of his own. "Most powerfully, Stevenson links the physical to the spiritual, letting Maddie's breast cancer open her to a spiritual journey, letting the veneration of the Eucharist open space for understanding illness, letting love for the mortal body open space for love of the divine. A gorgeous meditation on broken bodies, fractured faith, and the soul-wrenching path to serenity." "Stevenson writes beautifully and raises book-group discussion-worthy issues about relationships... diseases... and faith." "An elegant story of faith and healing."